Priced reduced on this Longchamp French Asparagus Server Rare Basket Shape. 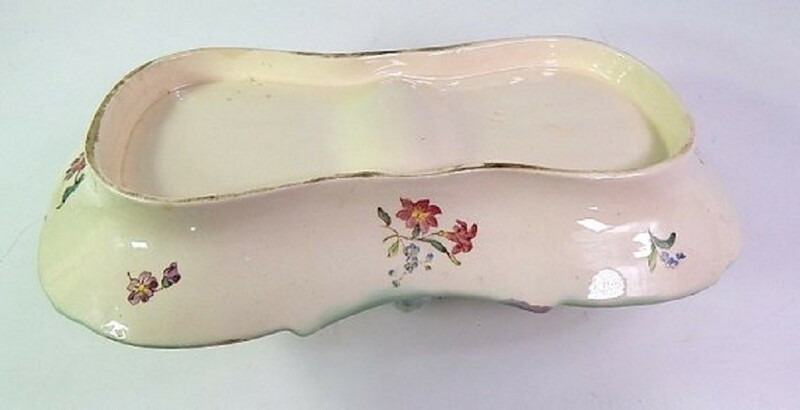 Longchamp produced lots of different Majolica servers and plates for asparagus and this is one of the most unusual ones....much sought after and hard to find. The server is marked with the maker's name impressed on the bottom. This pattern appears in, 'Artichauts et Asperge in Barbotine' by Maryse Bottero and is described on page 62 of that book. Shipping from France for this item will be £21.50 to the UK and Europe. Your parcel will be professionally packed. Shipment will be by French Colissimo International Airmail which includes insurance, a tracking number and delivery on signature for added security.